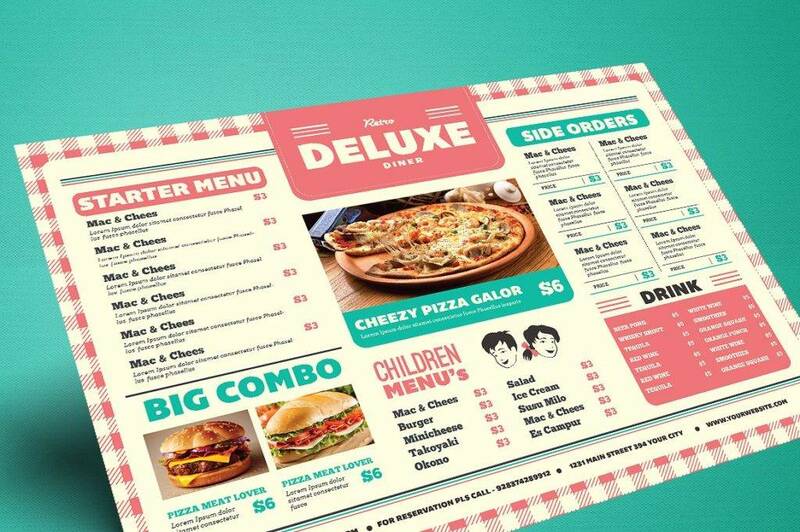 Do you ever wonder why restaurants and cafes put so much effort into their menus? You can even find extravagant cafe menus showcased in bright neon lights! As a restaurant owner, you strive to give your customers the best dining experience there is. 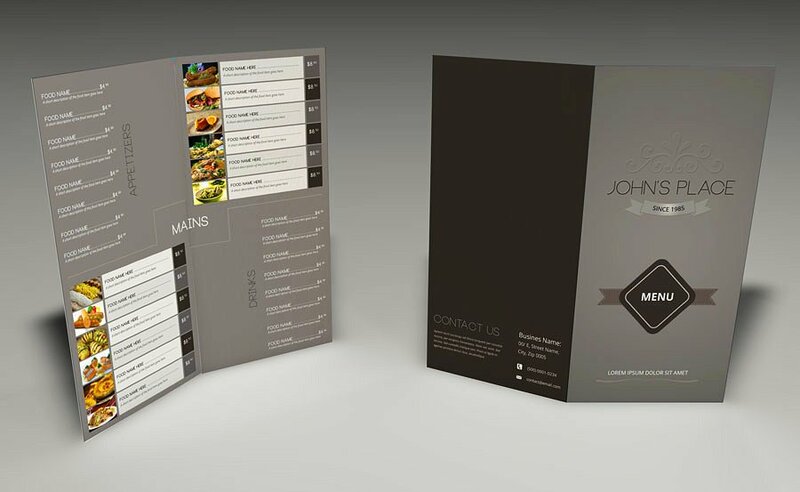 Apart from the service you offer and the ambiance you create, a menu design can affect one’s overall mood. It’s more than just about stimulating a one’s appetite, as it’s also about making satisfying choices that could leave a lasting impression. After all, you’d want a person to speak positively about your restaurant, not the other way around. Deciding on what to order from a restaurant has to be the most nerve-racking ordeal to go through, especially if you’re hungry and on a budget. But why is it so difficult to decide what to have? Sometimes, choosing between your go-to dish and something new from the menu can cause an internal conflict. There’s no doubt that menus could possibly cloud our judgments, causing a dilemma with its vast selection of dishes. There’s always that pressure of not knowing what to order while the waiter patiently stands just a few feet away with his pen and notebook in hand. It’s not that there isn’t anything appetizing on the menu that’s enough to satisfy our cravings but sometimes, it could be difficult to narrow down our options. If anything, this is exactly why set menus are preferred over the regular food menus, as it takes away the responsibility of making a decision that you won’t regret. That’s because we consider it a burden to decide on what to order, almost like making a critical decision that could change our lives forever. Not to sound too dramatic, but we just want to make sure that we don’t end up wasting our time and money on something disappointing. 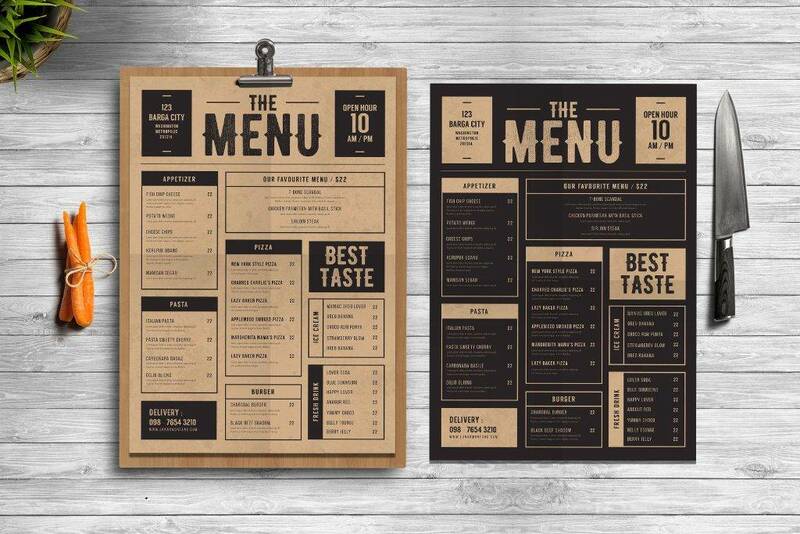 A study from Bournemouth University even shows that customers do have an ideal amount of menu items that are deemed to be “too little” or “too much”. This comes as no surprise, considering that our first-hand experiences prove how indecisive we could be at a fine dining establishment compared to a fast-food joint. 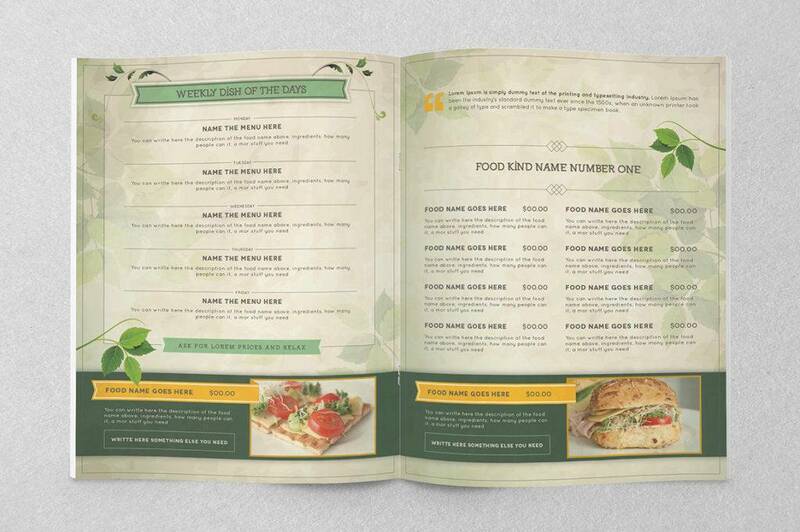 As humans, we often scan a menu in a z-shaped pattern, beginning from the top-left corner of a page down to the bottom. It is said that what initially comes into view immediately gains an unfair advantage over what follows. But this can easily be interrupted but other significant elements of the menu, such as the items found in boxes, items with supporting images, and those that are emphasized with bold text or colors. This clever arrangement brings into focus what the restaurant would want the customer to order, possibly a famous dish or one that could potentially garner a higher profit for the establishment to benefit from. Have you ever tried ordering a scrumptious-sounding dish with a name that’s almost impossible to pronounce, only to find out it’s nothing more than some meal you could get at McDonald’s for a much cheaper price? 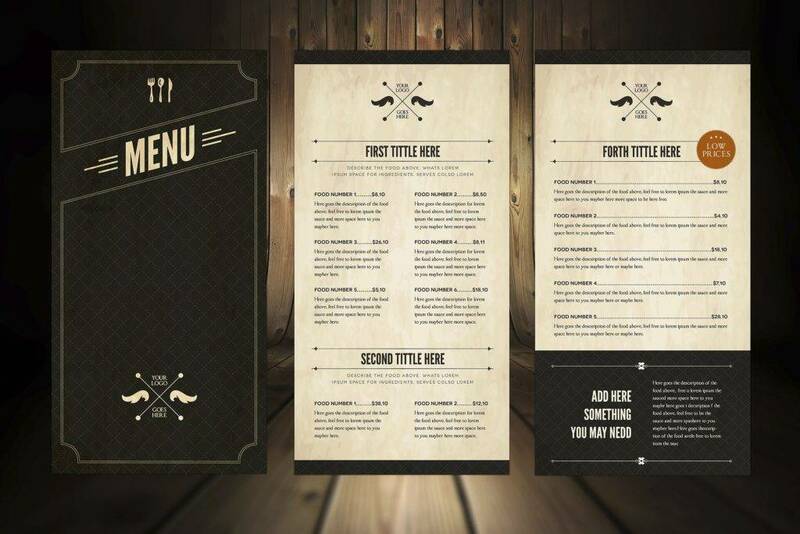 Enticing a customer through presentation and smell is a popular tactic used by chefs, but the works of a menu calls for a whole different strategy. This has a lot to do with the name and the description you give your dishes. You see, the name of a dish can greatly affect one’s perception, especially if it has an evocative description to go along with it. Adding a label to your dish helps a customer paint a mental picture of what to expect, emphasizing certain flavors and textures that may appeal to them. While sugar-coating something as simple as a regular corn soup might seem a bit too deceiving at times, you have to admit, this subtle technique is effective in reeling in potential customers. 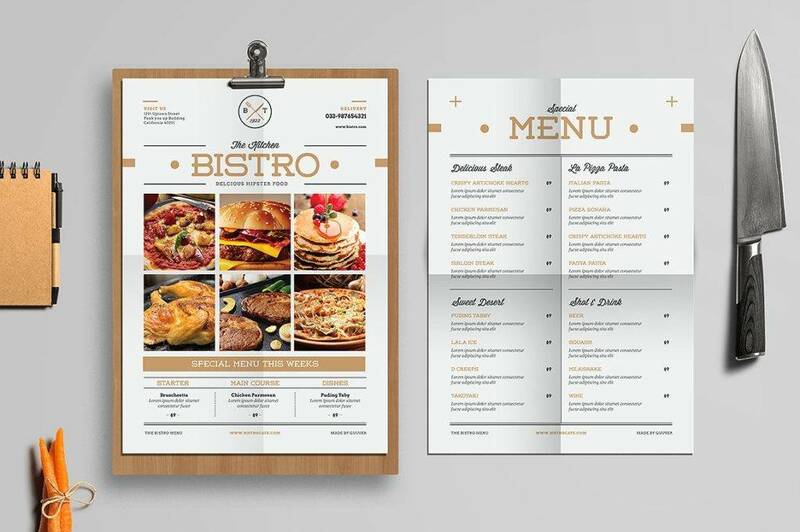 You can even kick it up a notch by designing your menu in a such a way that promotes the look and feel of your restaurant. 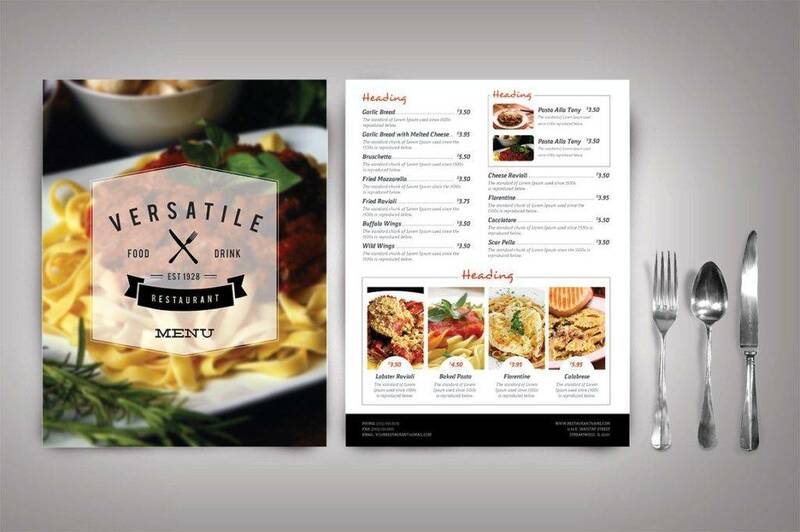 We all know that a restaurant logo can affect our decision on whether to take the chance or not, but did you know that a menu could also influence our choices? 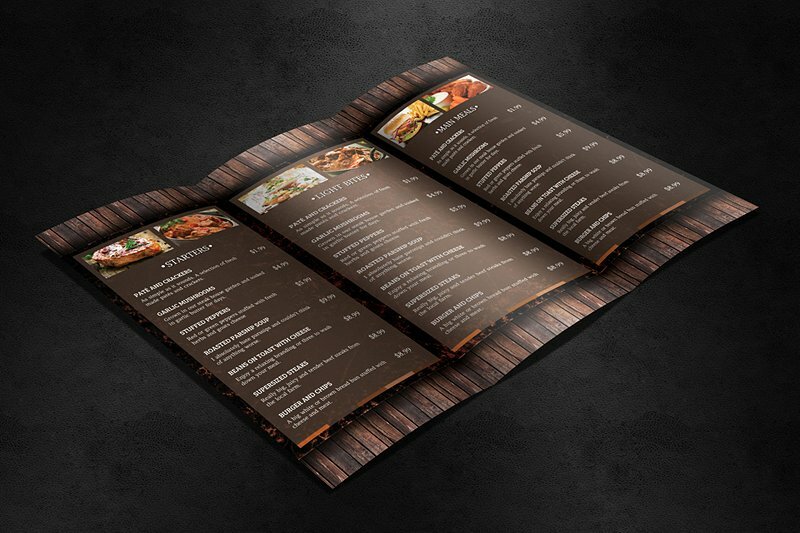 There are various types of menus that all serve specific purposes. 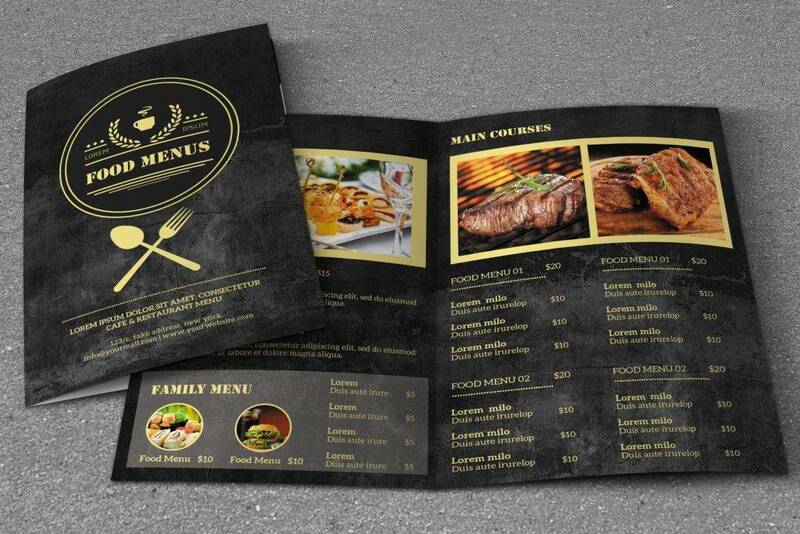 By understanding their distinctions, you can select the right type of menu that best suits your restaurant business. You might have encountered this term before, specifically at fast-food chains that offer their dishes with and without drinks. À la carte is a French word that literally means “by the menu”, where items are priced and ordered separately. 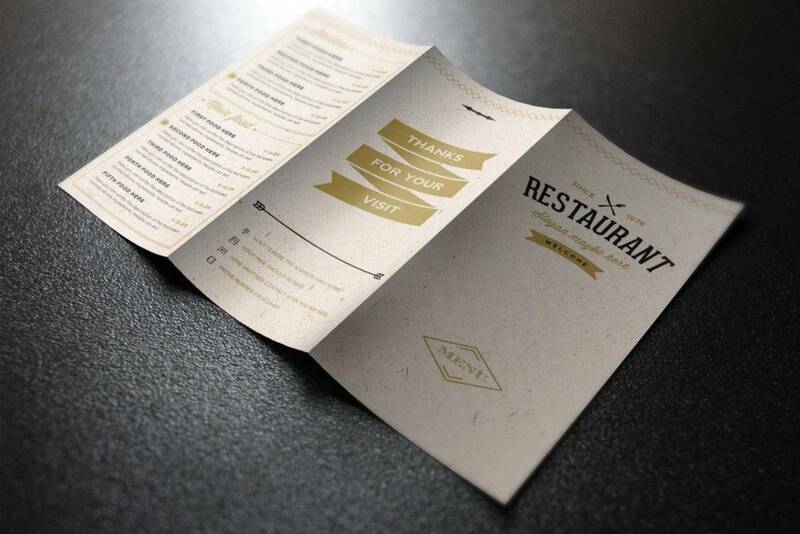 This expands one’s options and gives customers the freedom to decide how they want their meal to be. You could choose from a variety of sides and toppings to add to your dish, and the kind of drink to wash it all down. However, ordering à la carte dishes tend to lean towards the pricier side compared to the ordinary set meals. There are a lot of restaurants that have this type of menu showcased on chalkboards and digital displays, which typically contains a list of the specials for the day. Food items on a du jour menu are constantly changed, where restaurants have the opportunity to switch up their menus each day or even within a particular day. But this isn’t limited to soup dishes, as popular hangouts such as Starbucks often customize their du jour menu every season. 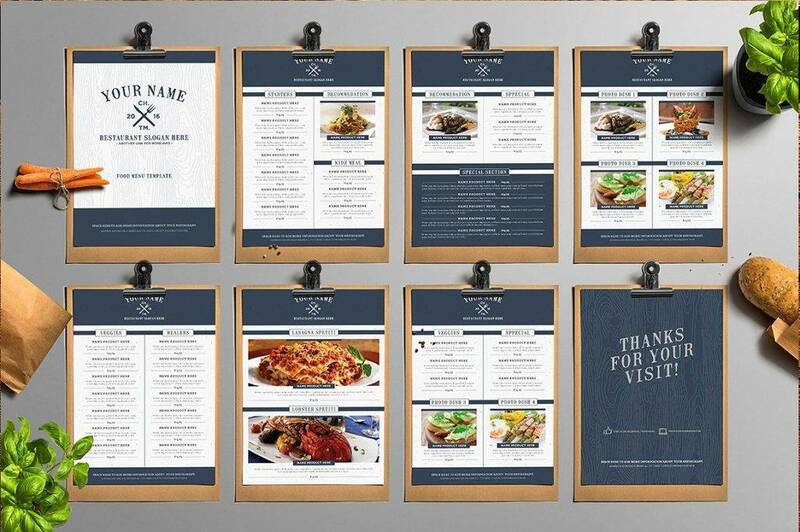 Probably not the most popular type of menu on the list, but definitely a suitable one for some food places that like to rotate the items on their menu on a weekly or monthly basis, like cafeterias, hospitals, cruise ships, and resort hotels. These restaurants often serve dishes based on the availability of their ingredients. For instance, there are certain fruits that taste better during a particular time of the year, so the restaurant must adapt to when these fruits are in season to make sure their customers are left satisfied. And yet another French word to add to your vocabulary, prix fixe or “fixed price” is literally what it sounds like. For this type of menu, multiple options are given for every course, where every guest is set to receive the same number of courses but still pay the same amount regardless of what they choose for each course. This is most ideal for special occasions to give guests the freedom to choose from a selection, without worrying about the price difference. Table d’hôte or “the host’s table” is a lot similar to the prix fixe menu, except that the price for each entrée may vary. In this type of menu, the hosts, along with their guests, gather at a table to savor the same courses. With a table d’hôte menu, you encourage the value of sharing, which is perfect for holiday gatherings with friends and family. 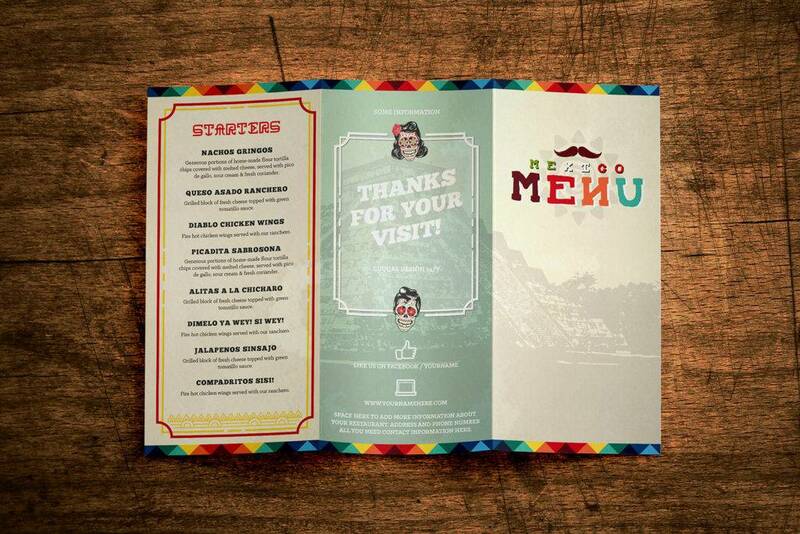 Will the design of your menu really mean something to a customer? As a matter of fact, it will. For one thing, it reflects the identity of your restaurant for customers to understand. It’s more than just a list of available dishes, as it’s the force that helps drive the business as a whole. 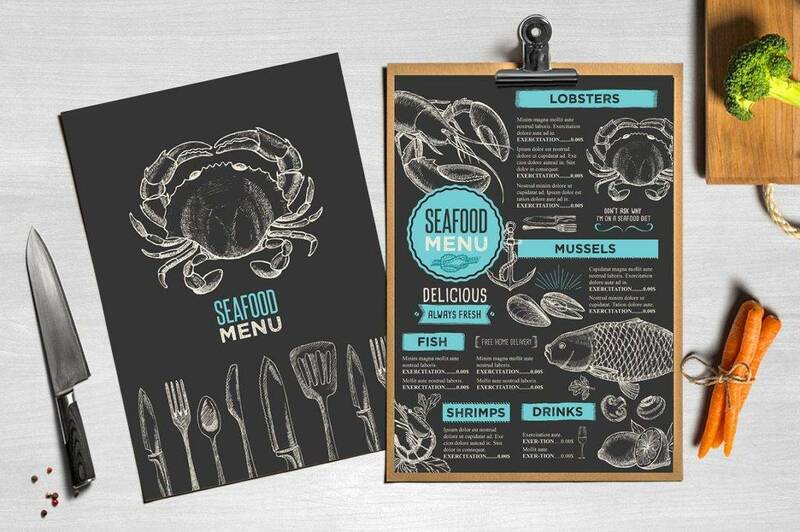 That being said, it’s important to know the visual strategies of a good menu design that could help enhance your restaurant. Be mindful of scanning patterns. 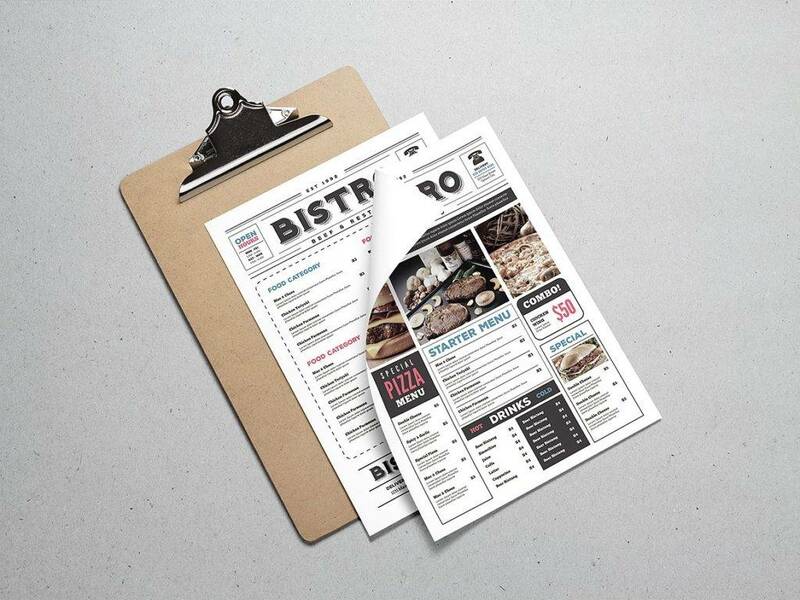 Customers tend to scan through a menu as if they’re reading a book. Knowing this, you need to be aware of how the location of an item could affect its sales. 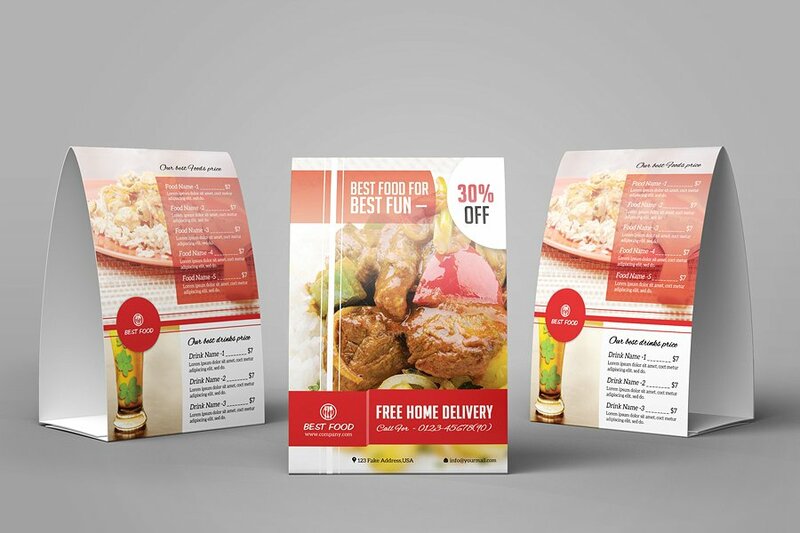 If you want to draw a customer’s attention to a certain dish, probably a chef’s specialty or a best-seller, then make sure it is situated at a place where readers will most likely set their eyes upon. Group dishes and drinks into sections. Make it convenient for diners to find what they want by arranging items in a logical manner. You might want to start with the appetizers, followed by the main course, and top it off with the desserts. This will allow the customer to read through each course carefully as well. Use images sparingly. Images give customers an idea of what the dish may look like, oftentimes making a dish seem more appealing than expected. But adding high-quality photos are quite costly and can take up a good amount of space, so you might want to limit the use of such. Pay attention to alignment. This has a lot to do with the dishes on your menu and its corresponding price. For one thing, you want to make sure that the customer is well aware of what the dish is and how much it costs, so proper alignment must be observed. Avoid emphasizing prices. Although customers need to be informed of how much they’re spending for a meal, you don’t want them to be overly aware of the price range of your dishes. Not only with this affect their meal choice, but it could also discourage them from ever coming back. At the end of the day, it’s all about providing a positive experience for your customers to appreciate. 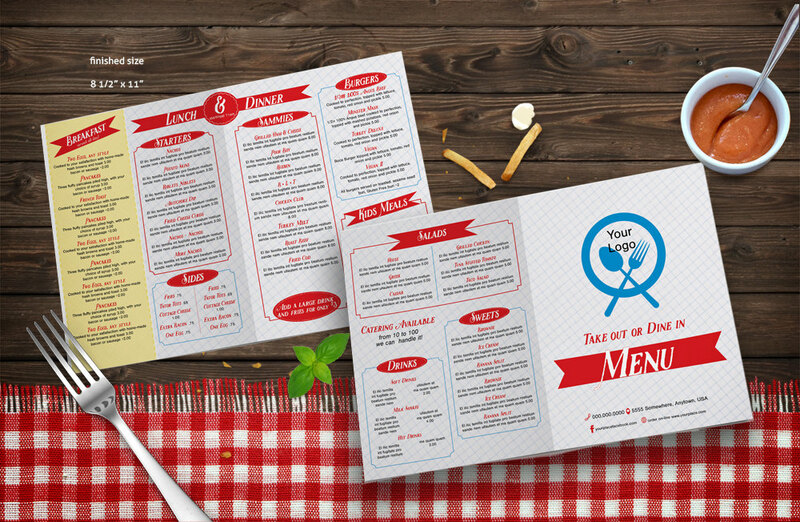 A menu may seem like a small part of the experience, but it’s still a significant factor that affects a customer’s perception about a restaurant. It’s an effective marketing tool that calls for action, inviting customers to satisfy their own cravings, and in turn, allowing the business to earn a profit.